No one delivers more Web content than Akamai, and as a result nobody sees more Web attacks. The threat landscape has evolved with the rise of chaotic actors and the migration of criminal elements into their slipstream. 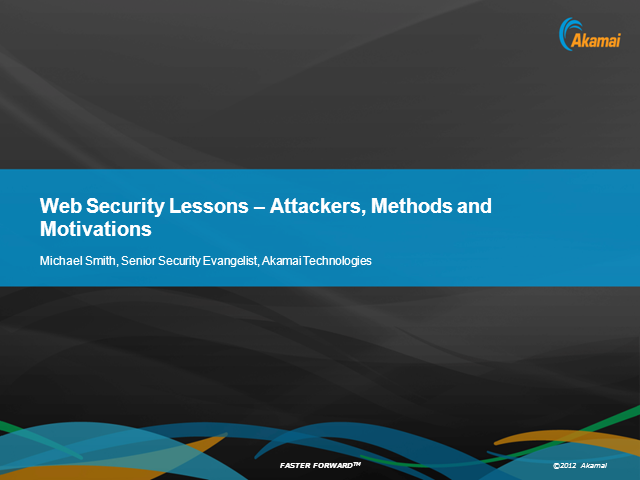 This talk will look at Web security trends and detail the different categories of attackers, their motivations, and their methods as well as strategies for mitigating these threats.